A must have for your summer training wardrobe, stay cool in this Reebok Workout Ready Ladies Activchill Tank Top in Black. 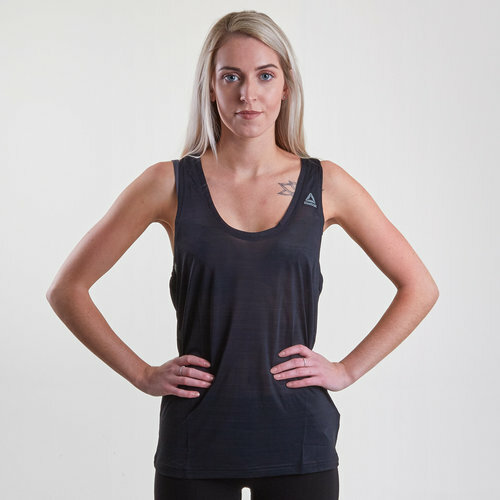 This tank top is a summer essential as it combines the cool tech with supremely comfortable material to have you performing to your best during every workout. Whether this top is used for a run, a Zumba session or a yoga class this is sure to keep you at the top of your game. The Speediwck technology used in this top wicks sweat away from the body to help the wearer stay cool and dry. The ACTIVCHILL fabric technology is engineered with enhanced breathability to help keep your body cool so maximum potential can be reached whatever the conditions the wearer faces.